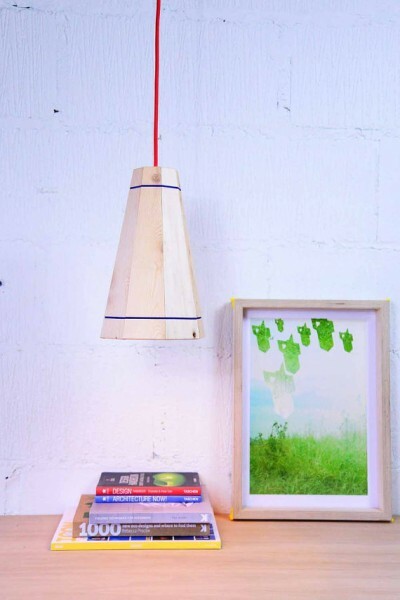 In Etsy.com, the online community about selling crafts, you can find this hanging lamp made from pallets. It’s a good choice to decorate your house, at the end of this post you will find a link where you can buy them. These lamps are composed of only 8 wooden planks extracted from the pallets, sanded and cut to fit perfectly and form the screen, so only 2 rubber bands are needed to join them by the perimeter. That means that the angles of the sides of the planks, have the perfect slope to set the 8 planks and close the whole circle of the lamp. These planks are also at the top narrower, forming this funnel shape. There are many combinations of colors that can configure your lamps, both gums and the watery painted wood. Do you like this pallet lamp for the dinning room or the kitchen?